In the outer-skirts of the historical city of Lahore there is an obscure kos minar, still standing proudly, with half the base missing, reminding one of the grandeur, power, wealth, and culture that once was bestowed to the Mughal city of South Asia. 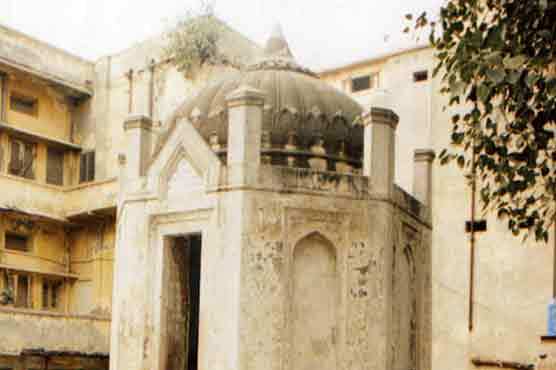 Another such structure is also present near the canal, in Lahore. Kos Minars were initiated by the third Mughal Emperor, Akbar, a note of which is also present in Abu Fazl’s Akbar-Nama. 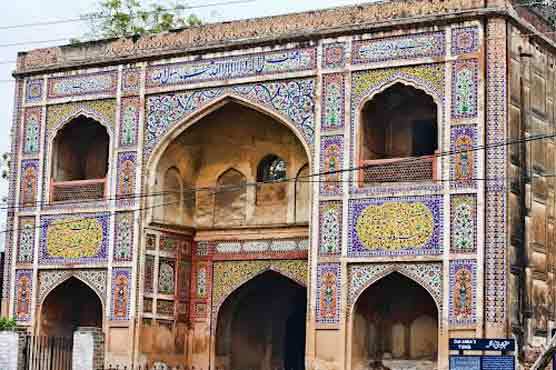 These were solid structures constructed on the ancient Grand Trunk road around 30 feet long. The purpose of these minars was to demarcate the road from the environs. These are called kos minars because they were constructed at a distance of every one kos¸ which is roughly around 3 kilometers. 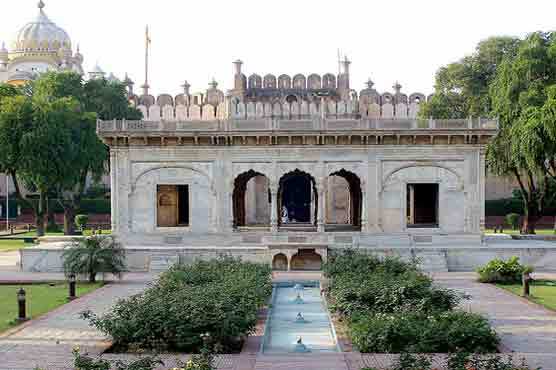 These were initially constructed from Agra to Ajmer via Jaipur in the west, then from Agra to Lahore via Delhi in the north and finally from Agra to Mandu via Shivpuri in the south. After Akbar, his descendants continued the policy of ornamenting the Grand Trunk road with such constructions, which were raised all the way from Peshawar to Bengal. 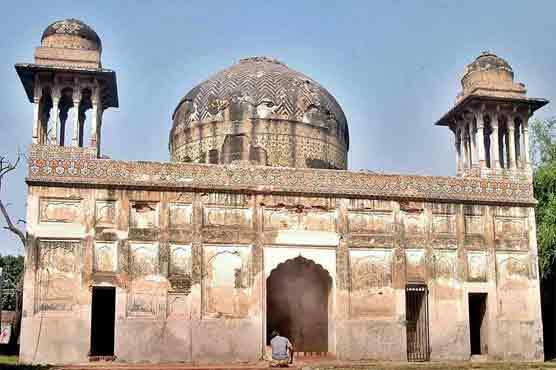 These must have been around 3000 such structures, but in the context of Lahore we can talk about just two. The first one is standing in the middle of a rice field in a village in the outer skirts of Lahore called Wara Gujrana. Despite its partial ruin state, the minar still manages to capture the imagination of the viewer taking one back to the dynastic days, when such constructions would have been a sight of delight for the wanderers traveling through the treacherous forests of Punjab. 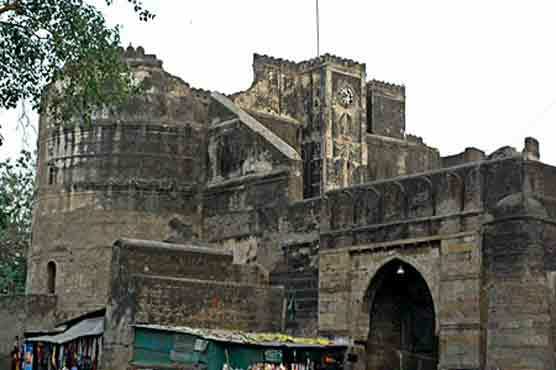 Besides the minars, caravanserai, and wells were also constructed with the royal edict. It is reported that before these kos minars were constructed, Banyan trees used to play the role of measuring distance and demarcating the road. Exactly opposite this minar towards Lahore, one would spot an ancient Banyan tree, which could have been the original marker. Further west around kos from this tree is another Banyan tree, and if the kos minar, and the other two Banyan trees are seen from above, they would appear to be in a straight line. If the straight line is continued towards the eastern side there is, yet, another kos minar, roughly around one kos from here. 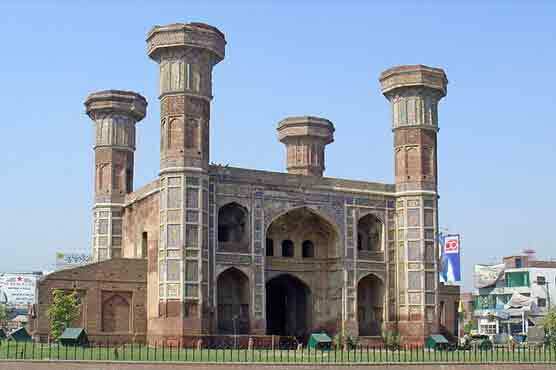 For the course of this research it was not possible to visit that minar as it lay on the other side of the border. 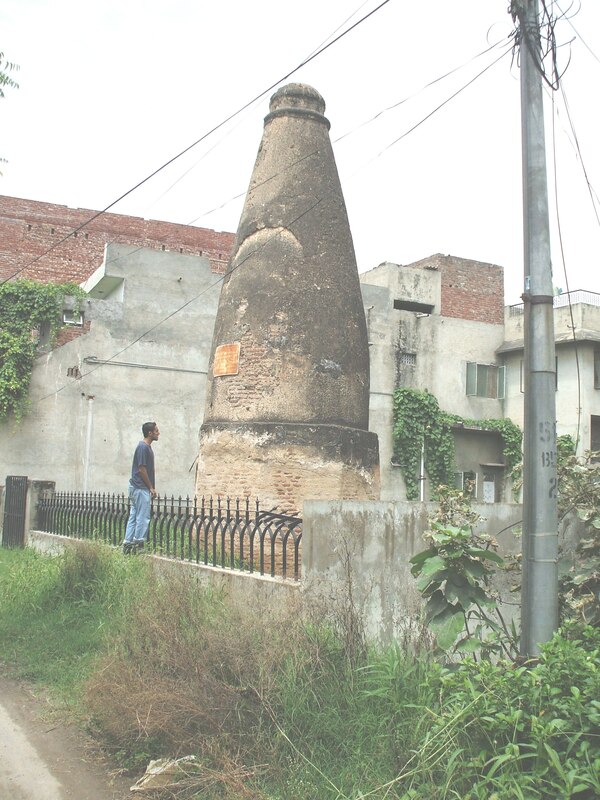 The minar is clearly visible from the high point at the Killa Jevan Singh, at the village with the namesake. This is the last Pakistani village, before the Indian Territory begins. Despite the conspicuous presence of the kos minars the Banyan trees and the caravanserai, there were absolutely no signs of the original Grand Trunk road. The road which is now known as the GT road is at a considerable distance from the location. 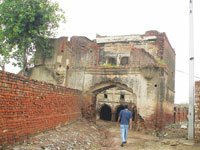 The thoroughfare, which was used throughout the ancient times, up to the days of Mughals is no longer functional. The GT road today is not the original GT road constructed during the tenure of the Mauryun Empire. 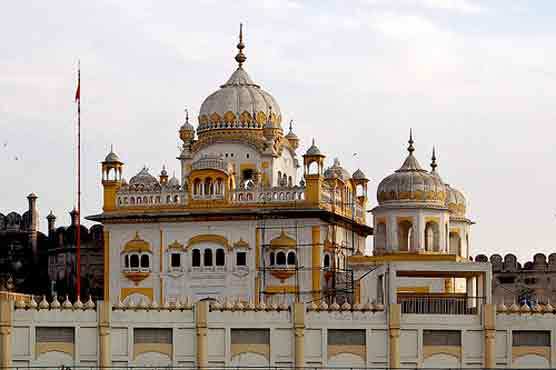 The third minar is located next to the railway track, close to the point where the tracks that go to Amritsar and Multan part ways. Unlike the earlier two minars, this one is not prominent and is, in fact, difficult to track in the hubbub of the city. There is considerable distance from the minar at the Wara Gujrana and this one, or so it seems because the extant road between these structures is not straight but makes a triangle. If, indeed, the perpendicular distance between these minars equal to one kos then we have in the environs of Lahore three consecutive minars. More work at a structured level needs to be done to see if these three minars are 3 consecutive kos minars, right now, it is a matter of conjecture. The Grand Trunk road has played a crucial role in the history of South-Asia. It could be called the ‘Great Wall’ of South-Asia. In fact we can proudly say that it was more effective than the Great Wall ever was. It played a crucial role in facilitating trade in India, first build during the Mauryun Empire. At that time the Indians were trading with the Greeks and this road was a huge leap forward in terms of progress. However, the real master mind behind this ingenious civic creation was the Afghan Sher Shah Suri. He not only made a proper road out of the mud track that existed at that time but also straightened it, where the bends were much cursive. Akbar the successor of Sher Shah Suri understood the vital role that this road played in the economics of India strived to make it safer for the travelers by erecting kos manars, caravanserai, etc. 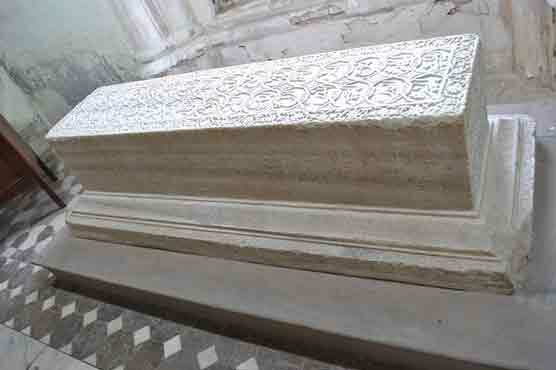 His successors, primarily Jehangir and Shah Jahan, played a vital role in further establishing the GT road. Besides the economic factor, another very important aspect of the Grand Trunk road was administration. The government needed an effective transport system to govern better. Official message carriers were sent from one end of the country to another with urgent messages. For the purpose of achieving more speed, new horses and messengers were available at these caravanserais and manars, where, either, the messenger had some water, rested for a while, before resuming his/her journey, or relayed the message to the next messenger. In this way, the kos minars also acted as check points, where usually the horse or the rider or both would get changed. Such a method guaranteed a faster postal service. We know from the remains of a caravanserai at the nearby village of Wara Gujrana that there was a caravanserai here; therefore this particular kos manar must have been during its time an important check point. Having treaded the long stretch of the canal, now acting as the artillery of the city, the BRB, the mother canal comes. Crossing the bridge over it, after a few kilometers, one would come across the village of Manhiala. 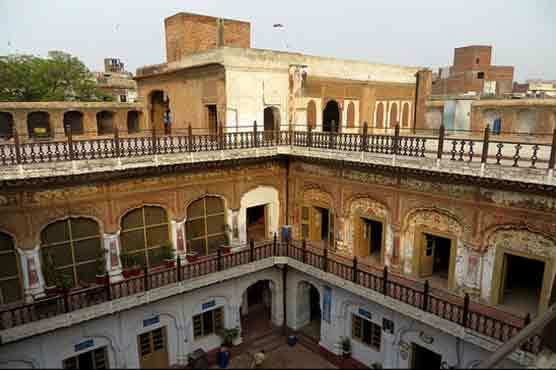 The next and the last village on the Pakistan side of the border is known as Killa Jevan Singh. As can be inferred from its name, this settlement derives its name from a small fort, perching on the top of a mound, within the village, which also happens to be the highest point around. Easily the top of the edifice stands 15-17 meters above the ground.